The finalists of the 2010 YJA Pantaenius Yachtsman of the Year and YJA Pantaenius Young Sailor of the Year awards have been announced. The vote for the overall winner now goes to the members of the Yachting Journalists’ Association (YJA) in a secret ballot. 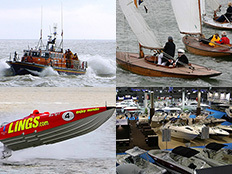 The winner of each award will be revealed at two separate ceremonies during the Tullett Prebon London International Boat Show in January 2011. YJA Pantaenius Yachtsman of the Year finalists include Edward Wright. Finn World Champion and double World Cup Winner. Edward is one of the true heavy hitters of the Finn class. This year he took first place in the Rolex Miami OCR , Trofeo S.A.R. 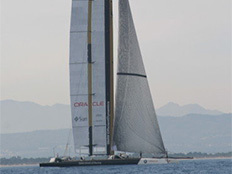 Princesa Sofia MAPFRE, Mallorca, the North American Championship and the Finn Gold Cup in San Francisco. Lucy MacGregor and team. Ladies World Match Racing Winners. Having gained National, European and World Championship titles and rapidly risen through the ranks to lead the World rankings, Lucy MacGregor and her team are a promising prospect for the future of British sailing. Geoff Holt. Geoff became the first quadriplegic to sail across the Atlantic when he sailed into the British Virgin Islands in January 7th 2010, overcoming personal adversity and achieving his own impossible dream. It took 28 days to complete the 2,700 mile voyage. Finalists for the YJA Pantaenius Young Sailor of the Year include Anya Colley. RYA National British Ski Stock Champion. Six of her World titles and many of her other achievements have been secured in mixed gender competition. Joanna Freeman and Hannah Mitchell. Joanna and Hannah won the RYA Volvo Nationals in Weymouth in April 2010 and placed 4th at the ISAF Youth Worlds in Turkey, narrowly missing out on a 2nd through protest. Izzy Hamilton. Izzy picked up her third Youth National title in April 2010. Izzy won a Silver medal at the European Youth Championships in Sopot, Poland and another at the Volvo Youth Sailing ISAF World Championships in Istanbul, Turkey. Izzy has just successfully defended her class Youth World title in Cyprus becoming Britain’s first ever double windsurfung Youth World Champion. Winners of both awards will be voted for by members of the Yachting Journalists’ Association. The YJA Pantaenius Yachtsman of the Year will be announced at an awards ceremony at midday on Tuesday 11th January 2011 at Trinity House, Tower Hill, London. The YJA Pantaenius Young Sailor of the Year Award will be announced at 14:00 hrs on Saturday 8th January 2011 at the Tullett Prebon London International Boat Show at ExCel, at the Knowledge Box. RYA Regional Winners will also be presented with their awards at the ceremony. *Also finalists for the YJA Pantaenius Young Sailor of the Year Award. The YJA Pantaenius Yachtsman of the Year Award is open to any British resident or passport holder who has made an outstanding achievement under sail or power during 2010. YJA Pantaenius Young Sailor of the Year awards British youngsters aged 18 and under (as at 31 December 2010), in possession of a British passport (or immediately eligible to receive a British passport), who have made a significant impact on youth sailing. YJA Pantaenius Yachtsman of the Year award was initiated in 1955 by Sir Max Aitken and now bears the names of the greatest achievers in British yachting circles over the past five decades. Previous winners include Eric Hiscock, Sir Francis Chichester, Sir Robin Knox-Johnston, Sir Chay Blyth, Sir Edward Heath, Tracy Edwards MBE, Dame Ellen MacArthur and Ben Ainslie CBE. YJA Pantaenius Yachtsman of the Year receives the prestigious Yachtsman of the Year trophy, a silver navigation buoy mounted on a sea of crystal, which was commissioned by the late Sir Max Aitken. YJA Pantaenius Young Sailor of the Year award was first presented in 1993. Early winners include Dame Ellen MacArthur and Ben Ainslie CBE, who both went on to win the Yachtsman of the Year title. The winners of both awards are nominated by the public and elected by the votes of the Yachting Journalists’ Association (YJA). In addition to votes from members of the public for the YJA Pantaenius Young Sailor of the Year, over 1,700 RYA affiliated clubs have the opportunity to nominate. Plus, the RYA puts forward winners from each of its 13 regions as nominations for the YJA Pantaenius Young Sailor of the Year. YJA Pantaenius Young Sailor of the Year receives a trophy and Pantaenius goodies. Nominations will be elected by the YJA and winners of both awards will be announced during the Tullett Prebon London International Boat Show in January 2011. Pantaenius is one of the leading yacht insurance intermediaries in Europe with over a hundred years of experience in this specialised market.